Simon and Schuster Children's Books have released the cover for Infinite Sky by C.J. Flood. What do we think? I think it's gorgeous! Intriguing! A choose-your-own-ending trailer for Tempest by Julie Cross has also been released. You can also read the first four chapters here. 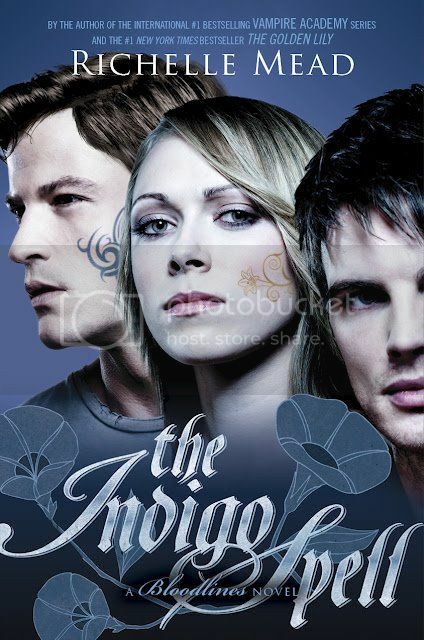 Speaking of first chapters, Richelle Mead has posted the first chapter of The Indigo Spell on her website. Go check it out! There are a number of HarperCollins Children's Books events coming up! Tickets £5/£3 for loyalty card holders, available in store or via events@piccadilly. David Almond, multi award-winning author of Skellig and Kit’s Wilderness will be joined by internationally acclaimed artist, writer and illustrator, Oliver Jeffers, whose books include Lost and Found, How to Catch a Star and the new release This Moose Belongs to Me, where they will be discussing their new book The Boy Who Swam with Piranhas, through a special words and pictures event, chaired by illustrator and writer, Sarah McIntyre. Tickets £2 available in store, via events@piccadilly.waterstones. A fan of YA? Come and join us for an evening with bestselling authors Garth Nix and Michael Grant. Garth Nix author of the popular 'Troubletwisters' series and recent stand alone novel 'A Confusion of Princes' will be in conversation with Michael Grant, author of the phenomenal 'Gone' series and recent hit BZRK. tickets are free, available in store. An evening with Garth Nix! Free but ticketed, please collect from the Children's department. Details for all the above Garth events are here. This year’s festival will feature Derek Landy, Emma Chichester Clark, Clara Vulliamy and Paddington bear. Take a look at the brochure here. Oliver Jeffers will feature, as will Michael Morpurgo, Lauren Child and Helen Dunmore. Get your tickets quick before they’re snapped up!